For companies who need to export small LCL cargo or large quantities of products overseas, cargo ships are still the safest and most reliable way to go. However, before you start exporting shipments overseas, you should take a moment to learn more about the marine cargo insurance options from TJO Cargo. This type of insurance is designed to protect you and your company in the event that your exports are lost or damaged at sea. The shippers risk may extend to the destination which can be hundreds of miles inland which is typically ground transport. The coverage is extended during this time. 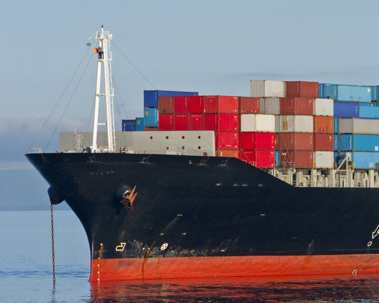 There are many potential obstacles that shipping companies can face on the water, and with international cargo insurance, you’ll be covered if your products ever come up missing or damaged. It doesn’t matter if you’re only sending a single shipment of exports or if you do international shipping on a regular basis. It only takes one accident or misplaced container for a company to lose thousands of dollars in goods. You can protect yourself from this scenario by reaching out us at TJO Cargo and asking for a quote on cargo insurance for your next shipment. You’ll get access to very affordable international cargo insurance that will give you the peace of mind of knowing your products, frozen commodities and more are covered. You won’t need to worry about the items you’re exporting when you have TJO Cargo on your side. You shouldn’t have to put your freight at risk when shipping overseas. The absolute last thing you want is for your company to take a hit simply because you didn’t take the time to check out international cargo insurance rates. It’s more affordable than you might think, and it will be well worth it if your freight is ever lost or damaged during the shipping process. Find out how much it will cost to obtain international cargo insurance for your next shipment by reaching out to TJO Cargo today. Give us a call at 904-781-6531 for more information on specific cargo insurance rates.